QUELLIN T. BOX, M.D. ; REBECCA T. CLEVELAND, B.S. ; CECILIA Y. WILLARD, Ph.D. Evaluation of the bacterial flora of the upper respiratory passages of infants and children may be attempted from swabs of a number of different sites. Among the methods in general use are anterior nasal, nasopharyngeal, and oropharyngeal swabs. Controlled studies regarding recovery of potentially pathogenic bacteria from these sites in the same person have been reported rarely. 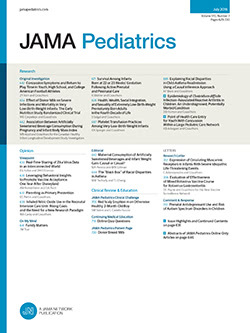 Rantz et al.1 state that in controlled studies in infants and children with streptococcal infection, the passage of wire swabs transnasally is an unsatisfactory technique for recovery of Group A Streptococcus from the nasopharynx. LaBoccetta et al.2 obtained a much greater recovery of beta hemolytic Streptococcus from throat swabs than from nasopharyngeal swabs in infants and children with scarlet fever. Most reports concerning upper respiratory tract carriage of Staphylococcus aureus are based upon results of cultures from anterior nasal swabs of adults. Rippon and Vogelsang,3 however, reported recovery of S.